This week for #SundaySupper we are all cooking recipes inspired by Sara Moulton! Do you know who Sara Moulton is? She is only a fabulous Chef, a cookbook author, she’s the executive chef at Gourmet Magazine, and she hosts her own TV show on public television “Sara’s Weeknight Meals.” In essence, she is awesome and I’m so excited to be making a recipe inspired by her. I also received her cookbook, Sara Moulton’s Everyday Family Dinners, and the recipe I chose is from this book. I chose to make the Clay Pot Vegetable Stew because I have a CSA share and always have a ton of extra vegetables around the house. I also liked that the soup has tofu and is flavored with both soy sauce and miso paste. The smell of this stew cooking over the stove was heavenly. Tons of vegetables mixed with my homemade vegetable broth plus the Asian inspired flavors on top of it. 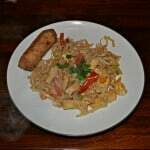 I served the stew with simple rolls and a few crispy noodles on top. The stew was so thick and hearty I could hardly believe it was vegan! 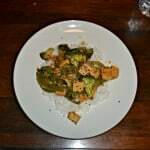 This is the perfect dish to have on hand whenever a vegan or vegetarian friend stops by for dinner because it takes less then an hour to cook, has amazing flavors, and is delicious. Have you heard about the Food & Wine Conference being hosted in Florida July 19-21? If not you need to check it out now! The Food & Wine Conference is bringing together bloggers, small business owners, winemakers, chefs, public relations professionals, traditional media, new media, authors and brands. There are some amazing speakers, including Sara Moulton! For more information visit the Food & Wine Conference website. 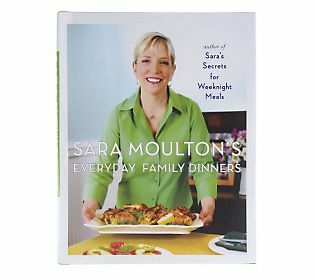 I’m also giving away a copy of Sara Moulton’s Everyday Family Dinners cookbook! The giveaway is open to residents of the United States. The giveaway will close at 11:59pm on Thursday, July 11th and the winner will be announced on July 12th. Check out the end of this post to enter! 1. In a large stockpot heat 1 tablespoon of olive oil over medium heat. Add the onion and saute for 5 minutes. 2. Add the remaining olive oil and mushrooms to the pot and saute for 5 minutes. Stir in the ginger and garlic and cook for 1 minute. 3. Add the carrots, parsnips, pea pods, vegetable stock, white wine, and soy sauce. Bring the mixture to a boil and simmer, covered, for 20 minutes. 4. Remove the lid and add in the tofu, spinach, and kale. Cook for 2-3 minutes or until the spinach and kale is wilted. 5. Remove a few spoonfuls of the broth to a small bowl and add in the miso. Stir until combined. Add the miso mixture back to the stew and stir well. Stir in the lemon juice and then season with salt and pepper. 6. Ladle into bowls and serve with crispy noodles if desired. What a great way to use the veggies from your CSA! I bet the smell of it cooking is amazing. I love slow-simmered dishes. Adding to my to-cook list too. Oh this sounds delicious. I’m always looking for uses for miso paste since you have to buy so much of it at a time. I love recipes that use up all of the extra veggies you have in the kitchen! I bet it tastes great with the miso and ginger! 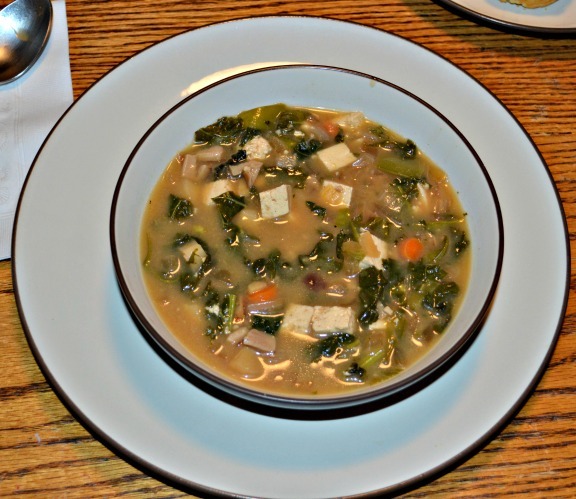 I’m bookmarking this for soup weather! Love it! The miso adds to the heartiness of the soup! It’s very similar to a Korean dish that I make! 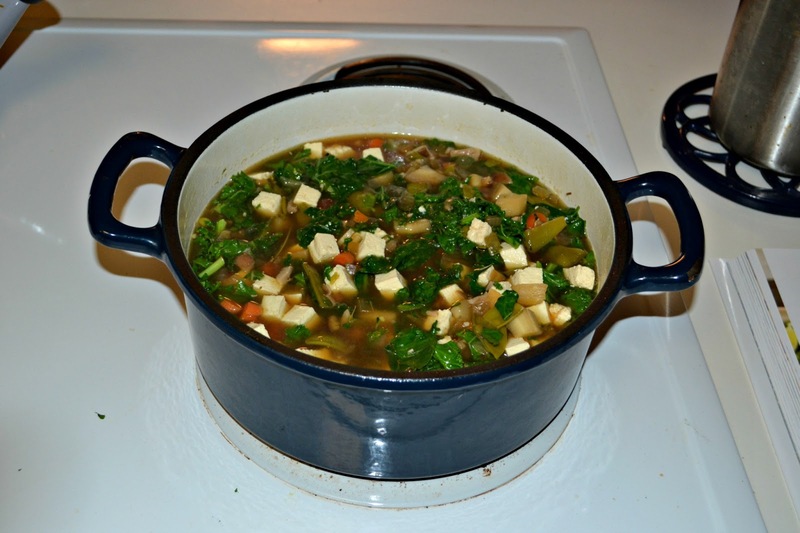 Gotta love vegetable stews (and soups) for when you have an overabundance of nature’s candy! I don’t have a favorite Sara recipe since I never grew up with her, but so far I’m liking this stew, reuben pizza, and reuben pinwheels. Love her Blackberry Peach Cobbler recipe! It is so easy and delicious! I can eat soups and stews anytime! It looks delicious, Heather! I don’t think I have a favorite… she has so many that I love! Such an amazing stew! 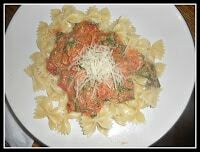 And I could easily add some meat for the hubby! Peppery Broccoli with Angel Hair Pasta. YUM! What a great way to use up your CSA bounty! 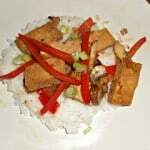 When I had my CSA subscription, I almost always resorted to stir fries, but this is such a fun idea, too! I can just taste the miso now. Yummmmm! The Cannoli Strawberries is sounding like it would be my fav! I love Miso Soup so this looks like it’d be right up my alley! This looks so good! 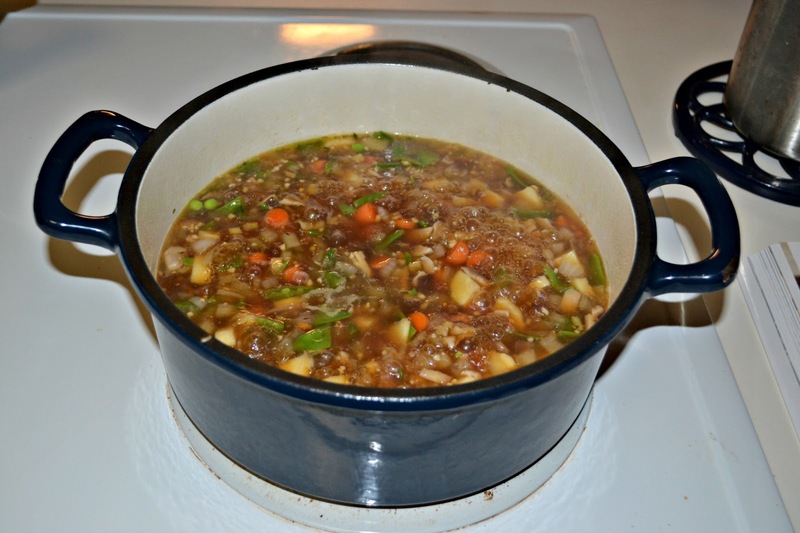 I love cooking soups or bisques in clay pots, and I’m always looking for new recipes to cook in them. 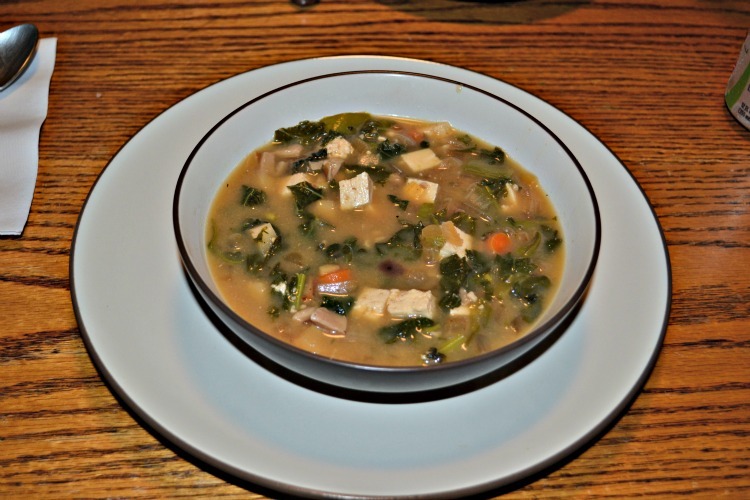 Love your healthy vegetable stew! yum! Man, this soup would have been perfect for SF weather today. I love that it’s veggie by default. I can’t wait to try it. Reuben tortilla pinwheels sound great for a fast lunch! I don’t have a favorite Sara Moulton recipe (yet) but the chocolate french toast sounds awesome.